Art + Art History graduate students Hannah Batsel and Mary Clare Butler are 2015 – 16 Caxton Club grant recipients – read more below! Also for the first time this year, a grant was awarded to an undergraduate at the School of the Art Institute of Chicago for a book arts project. The SAIC grant was inspired by recent club president Susan Hanes, in memory of Justyna Palka, a SAIC student who died in a tragic accident soon after graduation. The Caxton Club is a not-for-profit organization devoted to the study and promotion of the book arts. It was founded in 1895 by fifteen Chicago bibliophiles who desired to support the publication of fine books in the spirit of the prevailing Arts and Crafts Movement. 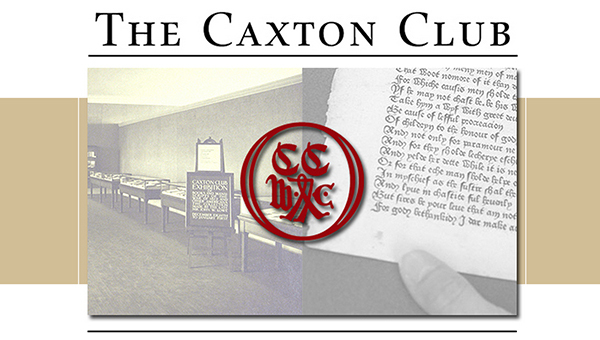 For more information about the Caxton Club visit: http://www.caxtonclub.org.